Twix is a candy bar packaged in pairs. It consists of a butter cookie center topped with caramel and coated in creamy milk chocolate. The crisp and crunch cookie, rich milk chocolate and creamy caramel. 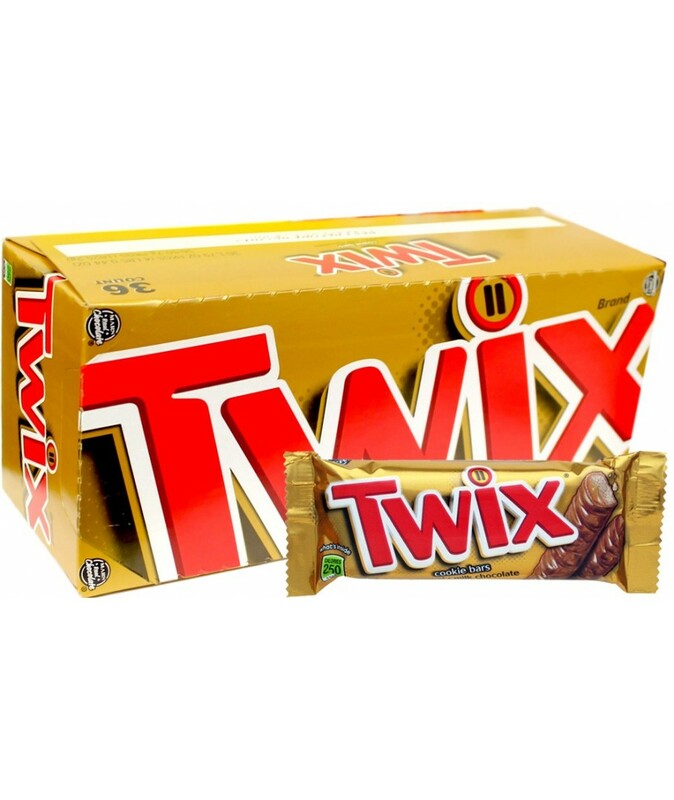 Order Twix candy bars from Volt Candy Online at our low wholesale prices. We now offer a 36-count box of individually wrapped candy bars to stock the shelves of your retail or candy store. One of the best candy i have ever tasted. it a perfect blend and combination.